Question to Radhanath Swami: I get angry so often! How can I control my anger? Radhanath Swami Answers: How do you control anger? By spiritual strength. Anger is like an enemy that we have to fight within ourselves. Now, if there is a war, do you just take people off the street and send them to the battlefield? Or do you train them as soldiers first? If you want them to be effective, you have to train them as soldiers first. One trained soldier, who is properly armed, can overcome hundreds and hundreds of people off the street who come to fight. So, in the same way, we know that these enemies of lust, envy, arrogance and anger, greed, illusion – we know that they will attack; they will attack both from within and without. We must fight; we must fight against that anger, when it comes; but at the same time, we have to be strong in order to succeed and that means to cultivate spiritual strength – by cultivating proper knowledge, by hearing hari katha, the topics about God, by chanting God’s names. This is a wonderful way of accessing the mercy and strength of God – by prayer to access the help of God. If we train ourselves properly through sadhana, then when these enemies like anger attack – still we have to fight – but we will have the power to win. 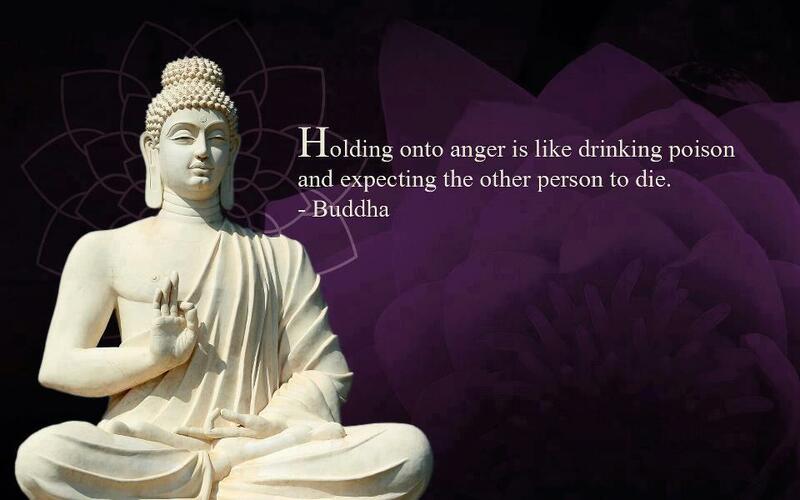 And to get angry for the right purpose is also a good thing. Anger could be used in God’s service too. Hanuman was very angry, but his anger was to help people. Sometimes a mother is angry with the child – ‘Don’t do this or I will punish you!’ Now, if anger is an outburst of uncontrolled emotion due to frustration, that is very karmic and entangling. But if anger is a tool to actually do things in a very effective way, then it is an asset in our life. But in order to use it for that purpose, we have to have inner spiritual strength.